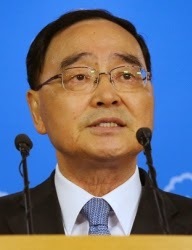 PM Hong-won made the announcement at an emergency news conference that held in the country's capital, Seoul, early this morning, days after his government was fiercely criticized about how it responded to the disaster. 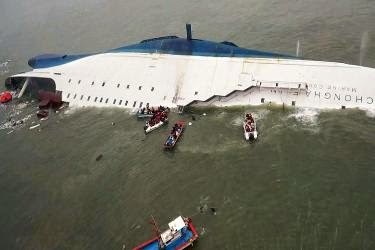 The PM took responsibility for the slow response of the rescue operation..
"I offer my apology for having been unable to prevent this accident from happening and unable to properly respond to it afterwards. I believed I, as the prime minister, certainly had to take responsibility and resign." the PM said. The captain and all crew members of the ship rescued themselves leaving 300 school children, teachers and other passengers to their fate. They have all since been arrested and facing charges ranging from criminal negligence to abandoning passengers. The confirmed death toll as of today is 187, while the rest are still missing and presumed dead.